« Preparing For Short-Term Missions: The Source of Training Specifics! O Love That Wilt Not Let Me Go! The words are a little archaic, but the hymn O Love That Wilt Not Let Me Go has always been one of my favorites. The melody begins rather simply but moves quickly to a quietly triumphal—not a Sandi-Patty-rock- the-world–conclusion! 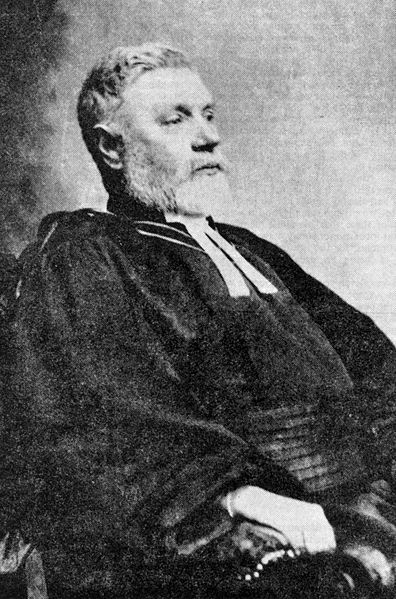 George Matheson (1842-1906) was a Scottish minister. While studying theology and with a promising theological career in front of him, in his twentieth year, he went completely blind. Not only did his blindness block his academic ambitions, but the story is that his fiancé also left him, not being willing to be burdened with a blind husband for the rest of her life. He was quite a successful pastoral minister who was served himself by his devoted sister. When George was forty years old, his sister married and left him on his on. It was on the occasion of his sister’s wedding that George penned the words O Love That Wilt Not Let Me Go.! First the loss of his sister’s care, rekindling no doubt the painful reminder of his own lost love, and all of this framed with his lost sight would have left many people bitter and angry. Matheson acknowledges the weariness of loss, but finds the ocean waves of God’s steadfast love life-giving as opposed to diminishing. I love the “flick’ring torch” line. Our energies are too often spent trying to walk through life by the light of our flickering torch, when we could walk in the sunshine’s blaze with great confidence if we would yield. The great hymns acknowledge pain rather than pretending that this world is tearless! But Believers know that Joy is seeking us, not trying to allude us! Matheson may even suggest his own struggles with Joy because pain in this time can be a defining reality that we are tempted to close our hearts to Joy in doubt that it really exists. Matheson traces the rainbow—not here a symbol of accomplished salvation, but rather a reminder of a sure promise! A hymn that begins with a Love that will never let go ends with the Cross, a dying place. Matheson’s hymn reminds us that we cannot circumvent the Cross—we dare not ask to fly from it—because only on that Cross do we find the Love that will never let us go—ever! Amy Grant has a popular, somewhat bluesy version of the song with saxophones. I like a little more traditional version, but I don’t like at all the artists who turn it into a slow, sad dirge. The pain is present, but there is nothing sad about this hymn! I didn’t know the story of that hymn when I chose it to walk down the aisle twenty years ago. Thanks for making that song even more meaningful!